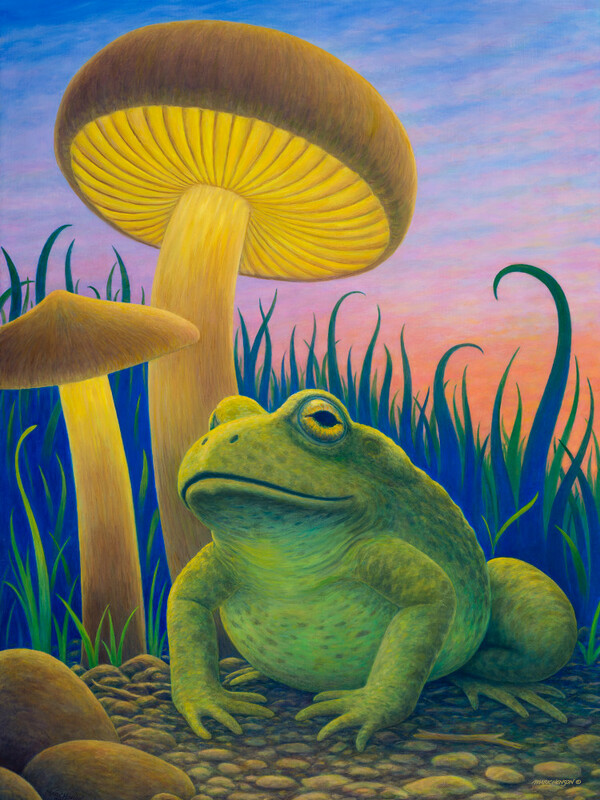 Lit by the magical fungi, the toad happily sits waiting for his dinner to buzz by. This is a truly happy toad. Sheltered by his fungus of choice, he sits content, waiting for a bug to drop in.